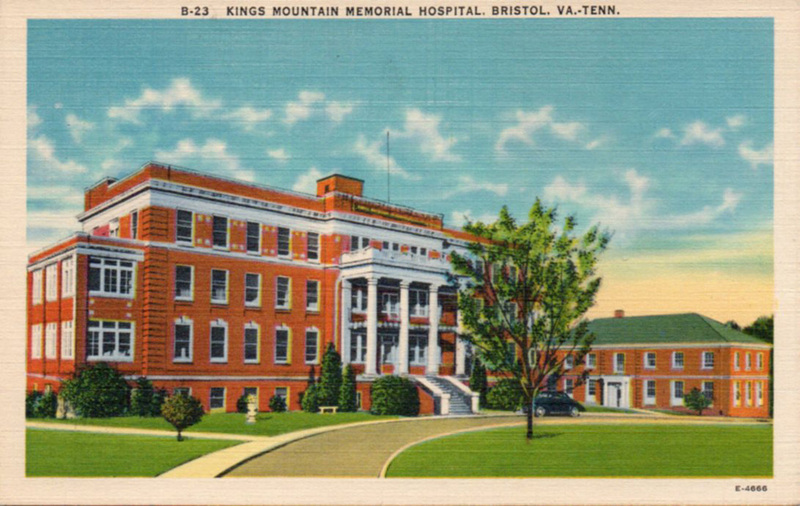 B-23 Kings Mountain Memorial Hospital, Bristol, VA.-Tenn. I used to drive past this edifice back in the early 2000s. It was derelict then and I used to wonder when someone would have mercy on the once gracious building and take it down. That happened in 2008. It had taken 20 years for the Sycamore Shoals DAR to scrape up the money to build this hospital, which opened up in 1925, taking the place of a smaller St. Luke’s hospital over on 10th Street (that hospital had been built in 1908). This hospital was made redundant in 1953 when up went Bristol Memorial Hospital, which met its Waterloo when the remote Bristol Regional Medical Center was built in 1994. 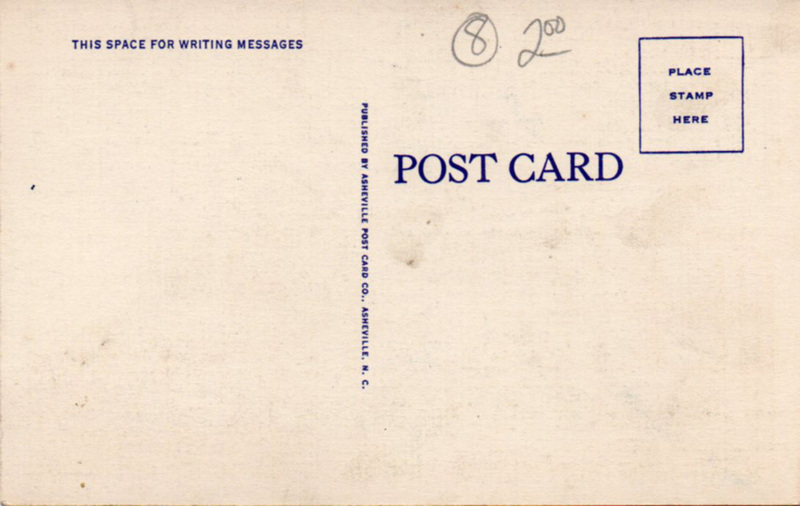 This is standard, run-of-the-mill Asheville Post Card Company issue, early 50s, probably. There is a car in the picture, behind the tree. Inventory number of the card is E-4666.